From salsa dancing beneath the night sky in Havana and the sweet and earthy smell of hand-rolled cigars to colorfully painted casas and the bright smiles (and wardrobe!) of warm and welcoming locals—experiencing the authentic side of Cuba is a bucket list item every traveler should check off! Since President Obama opened the door to legal travel for US citizens in 2011, we've facilitated dynamic people-to-people experiences for travelers to this relatively untapped destination. Just 90 miles from US soil, travel to Cuba is easier than ever! Our value-packed Cuba tours have been in high demand, and we've helped thousands of delighted travelers discover this once forbidden island! Experience the rich culture of indigenous, African and European roots. Meet artists in their Old Havana studios, Afro-Cubans in Spanish Colonial Trinidad, and agriculturists at a "coincidental" farm in Cardenas. We're proud to be one of the first U.S. tour companies to have been awarded a People-to-People license for Cuba travel, way back in September, 2011. Since then, we've sent thousands of American travelers to Cuba to participate in unique, inspiring, and affordable encounters with the Cuban people. 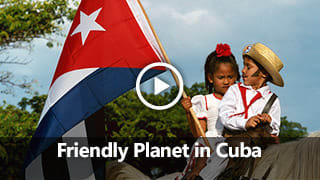 Friendly Planet Travel is an authorized sponsor of People to People travel to Cuba in accordance with the Department of the Treasury, Office of Foreign Assets Control (OFAC) section, 1 C.F.R. § 515.565(b) People to People Travel. 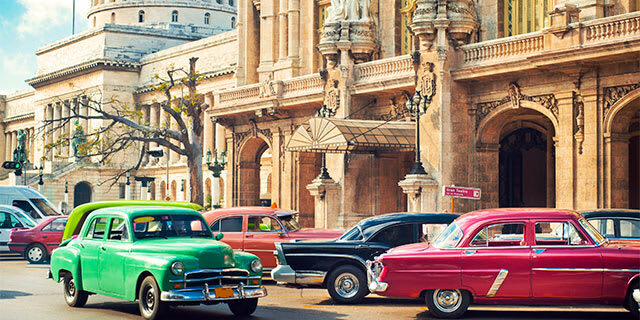 A throwback to another generation, Havana’s old world charm is a glimpse into the heart of this fascinating country. Old cobbled plazas and historic-buildings-turned-museums are juxtaposed with popular nightclubs and hotels that still exude a 1950s atmosphere. 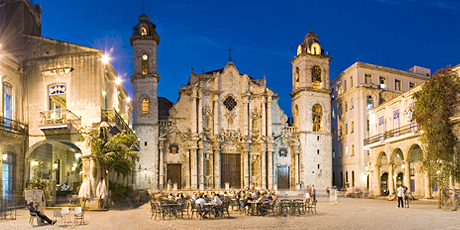 Don’t miss the chance to explore Habana Vieja (Old Havana), a UNESCO World Heritage Site, full of narrow and winding cobbled streets and almost 1,000 buildings of historical significance. Acclaimed author Ernest Hemingway loved Cuba. 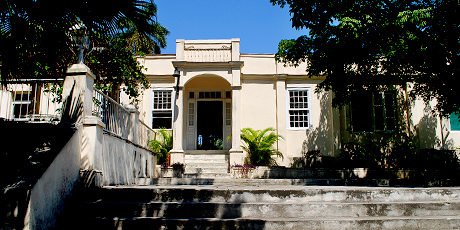 His home for 21 years (1939–1960), Finca Vigia, has been painstakingly preserved including the furnishings and his extensive book and art collection (including works by Picasso). Literature fanatics will also recognize Pilar on the grounds, Hemingway’s fishing boat named after his wife Pauline, and the lead character in his 1940 novel For Whom The Bell Tolls. His house is also near the quaint fishing village of Cojimar, the setting for his book The Old Man and the Sea. 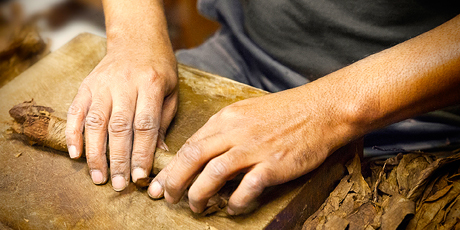 Cuba is known to make the world’s greatest cigars and no trip would be complete without touring the factories where artisans still expertly hand roll them. The faint smell of smoke and earth fill the room as guests are escorted through the factory—learning each step of the process along the way: from drying tobacco leaves and compacting the cigars through to finished, ready to smoke products. Smokers and non-smokers alike will be enthralled by the process and dedication of creating a product that is an essential part of Cuban history—and a huge export. In the midst of a culinary revolution, dining in Cuba becomes an adventure as thousands of little-known (and sometimes even secret!) independent restaurants have exploded across the island. Relaxed government regulations on private business have facilitated this growing industry—with more than 2,000 newly opened eateries. Innovative restaurateurs have opened up in surprising locations, offering experiences that often rival dining in London or Paris. The flavorful food and atmosphere are comforting and authentic, and rich and complex dishes shatter the “rice and beans” stereotype. 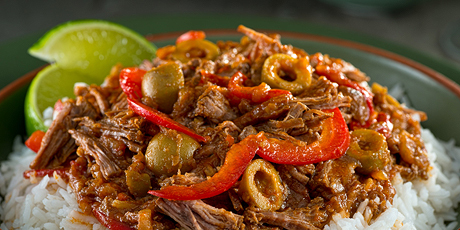 Don’t forget to grab a freshly made mojito to follow your savory ropa vieja (braised, shredded beef)! 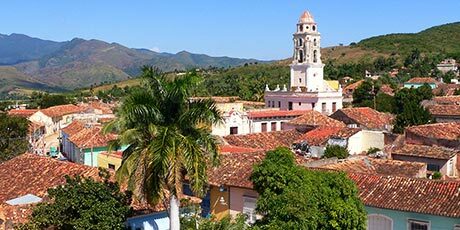 Trinidad’s iconic red-tiled roofs and cobblestone streets are a must for visitors who travel to Cuba! This UNESCO World Heritage City was founded in 1514 and many of its architectural marvels still stand today. Colorfully painted houses and a yesteryear atmosphere create a unique experience that harkens back to centuries ago. Dotted with museums, open-air markets, shops, and bars, Trinidad is a lively city—complete with unforgettable photo opps! Interestingly, the city is also a center for the Santeria religion. Visit Templo de Yemaya where practitioners explain the basic principles, an interesting blend of African and catholic traditions. El Encanto de Perserverancia, the Cuban Bed and Breakfast on our Authentic Havana tour, is a highlight in itself. 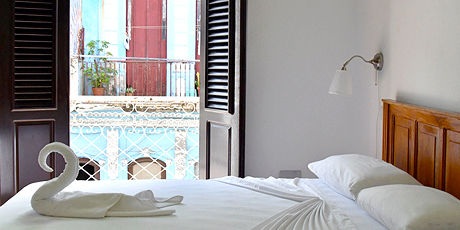 This B&B, or casa particular, was hand-picked by our President Peggy Goldman during her many trips to Havana. It is a traditional colonial-style house that has been lovingly restored and converted into charming accommodations. The casa is privately owned, meaning your money goes directly into the pockets of the locals, and it offers a much more authentic, intimate and satisfying stay versus the huge government run hotels in the city. Our casa is also very centrally located, only a seven minute walk from the Malecon, the city’s iconic sea wall, and it is within easy walking distance of several trendy restaurants including La Guarida, frequented by many American celebrities when they visit Havana. Plus, we give you the genuine experience of staying in a real Havana community with schools, cafes and local shops nearby while only being a short drive from touristic Old Havana. Already booked on one of our packages to Cuba? See everything you need to know before you go. 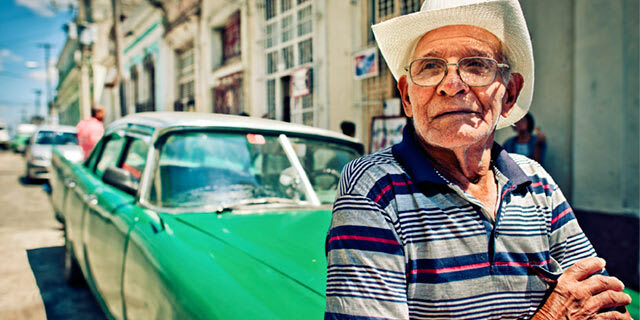 Check out our blog for our latest articles on Cuba.